Tune in to “The Relevant University” Monday, Dec. 3, at 7 p.m. on AM 760 WJR. This month, Lawrence J. Burns, UT vice president for external affairs, examines the growing need for experiential learning opportunities for college students through co-ops and internships to better prepare them for careers after graduation. • Dr. Scott Scarborough, UT provost and executive vice president for academic affairs, discusses the University’s innovative measures to make college more affordable. • Dr. Terribeth Gordon, senior associate dean at UT’s College of Business and Innovation, shares career development activities that prepare graduates for jobs. • Marte Salmi, senior information technology project manager from the power-management company Eaton Corp., discusses its robust internship program. • And Brian Balasia, president and CEO of Detroit’s own Digerati, provides information about its Intern in Michigan program to connect students and companies. The University and Detroit’s WJR Radio produce the monthly, hourlong program that explores the critical role higher education plays in the world. HIV infection is no longer a death sentence; it has become treatable and controllable. About 1,000 people are estimated to be living with HIV in Lucas County, according to the Toledo-Lucas County Health Department, but many are not aware of their diagnosis. On World AIDS Day, Saturday, Dec. 1, there will be a global focus on combating this chronic disease and striving for an AIDS-free generation through HIV testing, education and access to care. Trained volunteers, educators and health-care professionals will offer free, confidential HIV testing from 11 a.m. to 6 p.m. Saturday, Dec. 1, at the Westfield Franklin Park Mall food court. 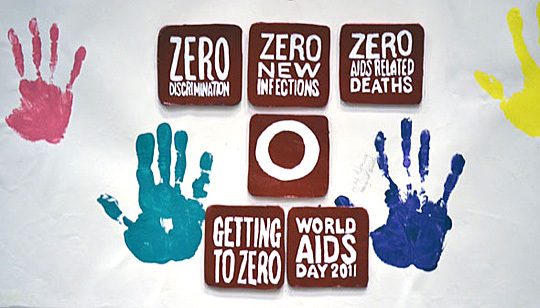 More than 100 people were tested for World AIDS Day 2011 at the local event. No appointments are necessary for the 20-minute test, which requires a mouth swab. Educational material about HIV prevention also will be handed out. Dr. Joan Duggan, professor and director of the Ryan White HIV Center at The University of Toledo Medical Center, encourages everyone to get an HIV test. According to the Centers for Disease Control and Prevention, those ages 13 to 64 should receive at least one baseline HIV test. Duggan believes that fear of stigma, prejudice or lack of basic information about HIV prevent people from being tested. There have been an estimated 30 million deaths worldwide since HIV/AIDS was first identified in 1981, according to the Centers for Disease Control and Prevention. With medications and care, HIV is no longer a fatal illness, but a treatable medical condition with a near normal life expectancy. But in order to receive proper medical care, people need to be tested and treated as early as possible. The goal of World AIDS Day is to educate and test as many people as possible. The theme for World AIDS Day 2012 is “Working Together for an AIDS-Free Generation.” It is a global health day that commemorates those who have died and renews the commitment to fighting and ending HIV worldwide. The local World AIDS Day testing event is sponsored by the UT Medical Center Ryan White Center, the Toledo-Lucas County Health Department, the AIDS Resource Center of Northwest Ohio, Substance Abuse Services Inc. and Nuestra Gente Community Projects Inc. Think of them as cellular building blocks — which determine whether or not you’ll become blind. Every cell in your body possesses a centrosome. Every centrosome contains a pair of centrioles, each built from a cylindrical array of 9 microtubules. And extending from each cell are hair-like protrusions called cilia. 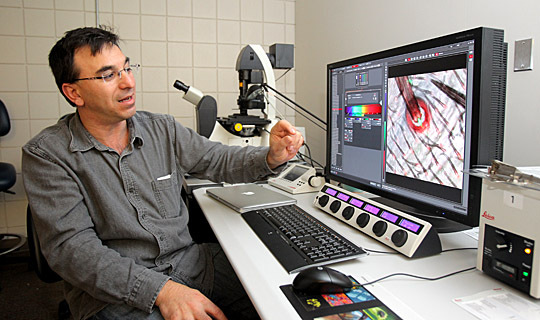 Dr. Tomer Avidor-Reiss demonstrated the capabilities of the University’s new confocal microscope by examining the cellular structures that become apparent in a single hair from a fruit fly. For more than 100 years following their discovery, these universal cellular subunits have been considered a sort of family, each with roles essential to life. Dr. Tomer Avidor-Reiss, associate professor in the Department of Biological Studies, turns that family picture upside down. Avidor-Reiss, who came to the UT College of Natural Sciences and Mathematics this year from Harvard University, is utilizing a newly renovated research laboratory in Wolfe Hall to study these long-mysterious organelles — cellular components with specialized functions. Cilia have their own areas of biological primacy. Cells without cilia, or with defective cilia, are linked to disorders that include blindness, kidney disease, male infertility and developmental abnormalities such as microcephaly. Today, Avidor-Reiss’ team is focusing on a group of proteins that seem to affect the centrosome. If the researchers’ hunch is correct, the proteins also may regulate cilia formation. “Once we can discover what these proteins do, we hope to connect that discovery with some aspect of human health,” he said. Such basic research — also called pure research — is performed in the hope that it may someday be applied to developing a disease treatment or cure. Cancer is one such disease. In centrosome research, Avidor-Riess explained, scientists have identified a major difference between a normal cell and a cancer cell: too many centrosomes in the cancer cell. His group’s last published paper centered on their discovery that by regulating a particular protein in the amorphous pericentriolar matrix surrounding the two centrioles, they could create a larger centrosome — a phenomenon that seems to pose few problems for a normal cell. But what about cancer cells, with their abnormal number of centrosomes? They plan to explore, he said, whether activating those larger centrosomes in cancer cells could drive the cells into a reproductive dead end. Another project centers on his group’s discovery of a heretofore unknown structure in Drosophila sperm: in fact, an embryo centriole. “We think it is important in fertilization, and it is possible that even human sperm may have this structure. Mutations in it might explain human infertility,” Avidor-Reiss said. One of those tools sits in his laboratory now: the confocal microscope purchased by the University, a half-million-dollar piece of technology that advances the department’s capabilities several levels. “It allows us to look into very complex tissue, where you must be able to focus and gather information from one focal plane. That’s what a confocal microscope does best,” he explained. “It’s really a beautiful machine with high sensitivity and resolution. We are able to see two centrioles in a row and the transitions where the connection is made to the cilia. Despite its nomenclature, the work of Avidor-Reiss and his group may well prove to be anything but basic, as science continues to uncover internal structures of biology that were hidden until this moment. The UT scientist agreed. “Cilia and centrosomes may well represent a new type of biology, one that goes beyond cell division and simple sensory function. Only recently, the importance of centrosomes and cilia in the nervous system has become evident, and new studies have connected ciliary defects to neuropsychiatric disorders. Toledo senior defender Natalia Gaitàn will go down in school history as one of the most decorated players in the storied history of the women’s soccer program. She added another award to her long list of accolades, earning a spot on the Capital One Academic All-America Third Team, as selected by the College Sports Information Directors on America. The Bogota, Colombia, native is the first member of the program to earn Academic All-America accolades. The 2012 tri-captain holds an impressive 3.93 GPA in pre-business and a season ago was named to the National Soccer Coaches Association of America (NSCAA) Scholar All-America Third Team. A two-time second-team NSCAA All-Great Lakes Region and two-time All-Mid-American Conference honoree, Gaitàn finished the 2012 campaign second on the team in goals (4) and total points (8). She played every minute in all 21 matches and was an integral part of a Toledo squad that advanced to the MAC Tournament semifinals for a seventh consecutive season. Also this fall, Gaitàn became only the third player in school history to earn all-tourney recognition on three occasions (2010, ’11, ’12), joining Molly Cornwell (2007, ’08, ’09) and Ali Leak (2006, ’08, ’09). A well-credentialed player on the international level, Gaitàn has represented her home country as a team captain on the world’s biggest stages at the 2012 Summer Olympics and the 2011 FIFA World Cup. An excellent student in the classroom as well, the two-time Academic All-MAC selection has been a member of UT’s dean’s list each of the last six semesters, including a perfect 4.0 GPA in fall 2010. Gaitàn was one of four MAC players named to the Academic All-America Team, as she was joined by first-team selection Skylar Chew from Ball State and second-team honorees Bailey Brandon from Central Michigan and Hannah Newhouse from Kent State. Physicians and employees at The University of Toledo Medical Center soon will have the chance to voice their opinions on their work environment. Starting Saturday, Dec. 1, UTMC employees and physicians will have the opportunity to improve their work environment through a survey. All employees will receive a hard copy of the survey along with a PIN number, which they can use to complete the survey online at esurvey.pressganey.com. The survey, delivered by Press Ganey, will measure employee satisfaction and engagement. UTMC departments with participation rates of 90 percent or higher will be entered to win a gift basket. After the deadline, three departments will be awarded gift baskets with treats to be shared amongst the staff. Surveys will be confidential and take about 15 minutes to complete. Employees and physicians must have their surveys postmarked and in the mail or submitted online by Monday, Dec. 24. Press Ganey does not release any information regarding whether or not employees or physicians have completed the survey. Completed surveys will be processed by Press Ganey employees who will analyze the data and determine how UTMC employees feel about their work environment. For questions, contact Melissa Foos, analyst in experience of care at UT Medical Center, at melissa.foos@utoledo.edu. The University Women’s Commission, which supports women at The University of Toledo both educationally and professionally, is looking for new members. Since 1981, the commission has made significant changes at UT; these include recognizing 138 outstanding women, establishing Apple Tree Nursery School, and providing scholarships to undergraduate women. The main goal of the commission is to support women at UT and help them flourish professionally. Although there is a large focus on women, anyone can join the commission and support the scholarships and awards the organization gives. The organization awards two or three scholarships to undergraduate women annually; 100 percent of the membership fees go toward those awards. The Outstanding Woman Awards recently were named after Dr. Alice Skeens, founding dean of the College of Languages, Literature and Social Sciences. Skeens passed away in November 2011 and was a recipient of the award herself in 1988. Students, faculty and staff of any gender can join by registering online here. Member fees are $25 for faculty and staff, and $10 for students, and are tax deductible. Toledo (4-1) will host the inaugural Glass City Tournament Saturday and Sunday, Dec. 1-2, in Savage Arena. The Rockets will take on Southern Illinois University Edwardsville (3-3) Saturday, before battling either Southern (0-5) or St. Bonaventure (3-4) Sunday. Both of UT’s contests this weekend will tip off at 2:30 p.m., while the other match-ups will start at noon. Toledo’s game on Sunday will be carried live on BCSN. Toledo will look to take advantage of some home cooking after spending the last two weeks on the road. The midnight blue and gold is 1-0 in the friendly confines of Savage Arena this season and an impressive 58-8 on its home floor under fifth-year Head Coach Tricia Cullop. UT, which will put its season-high three-game win streak on the line, is coming off victories against Santa Clara, 73-48, and host Nevada, 73-61, at the John Ascuaga’s Nugget Classic in Reno, Nev., last week to capture its sixth tournament crown in school history and third under Cullop. The key to the Rockets’ tourney title was its ability to convert field goals at a high rate, as the team outshot the Broncos and Wolf Pack, .424-.359. The Rockets also dominated the boards, outrebounding the opposition by an average of nine caroms, 43.0-34.0. Senior Naama Shafir and junior Andola Dortch received all-classic team honors for their efforts in the two victories. Shafir, who also was selected the classic MVP, averaged 11.0 points, a team-high 6.0 assists and 2.5 steals, while Dortch tallied a squad-best 11.5 points, a team-best 3.0 thefts and 3.5 helpers per contest. Through the first five games this season, Toledo’s talented backcourt duo is averaging 19.4 points, 9.0 dimes and 5.2 steals per contest. UT and Southern Illinois University Edwardsville will meet for a third time, with the Rockets claiming an 86-74 victory in 2009 in Edwardsville after posting an 80-58 triumph in 2009 in Savage Arena. Following this weekend’s tourney, Toledo will remain at home and host Horizon League member Milwaukee Saturday, Dec. 8. The opening tip against the Panthers will be at 2 p.m. in Savage Arena. The Rockets will look to avenge a 60-57 setback to the Panthers last year in the Klotsche Center. The complications of our hopped-to-shop consumer culture don’t faze him. Now in his fourth year as a faculty member, Dr. Stanford Westjohn continues to conduct research that investigates what he calls consumer-level phenomena, offering insights on what drives people’s buying behaviors. Dr. Stanford Westjohn posed for a photo by a famous consumer brand. Take the conspicuous consumer we’ve all seen (or been), he said: “the 300-pound guy walking down the street wearing a basketball jersey and basketball shoes. He’s clearly not a player, but in his mind he identifies with the sport — maybe he once played or plans to play, or he’s just an avid fan. In his most recently published research, Westjohn took a similar concept of community identification — in this case, whether a consumer identifies more strongly with a global or a national community. For the study, his team mocked up several pairs of advertisements for popular brands. One Nike ad paired the famous swoosh with a “uniting the human race” slogan; the other featured a “Team USA” approach. The iconic Coca-Cola bottle was central in graphics offering either a world-view sentiment or one specific to America. McDonald’s offered either national or global consciousness with those fries. Participants’ preferences on each paired ads were collected. A subsequent survey measured the degree to which they identified themselves primarily as a citizen of the world or as an American first. The implications for businesses are real, he added. Consumer identifications do exist, which may in turn influence the way a company positions its advertising to reach a target market. Westjohn took the study one step further by assessing participants according to the Five Factor Model used by many psychologists, according to which five genetically determined core dimensions — openness, conscientiousness, extraversion, agreeableness and neuroticism — define personality. “Identifications seem to be largely culture-based — what we learn growing up. Since the ‘big five’ personality traits are genetic, though, it’s rather discomforting to think of inborn traits influencing our choices,” he noted. His research showed openness and agreeableness playing roles, with the former predicting a participant’s responsiveness to a global-message ad, and the latter inclining an individual to prefer a national theme. Westjohn, who worked in the business sector before entering academia, is mindful of his research’s ultimate utility in the marketplace. “Understanding personality traits adds to the richness of the process, but the implication for business is how identity can drive behavior or attitudes,” he said. “That’s why the research on identification will be of more use. 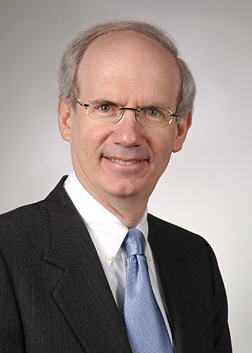 Dr. Jeffrey P. Gold, chancellor and executive vice president for biosciences and health affairs, and dean of the College of Medicine and Life Sciences, is helping to expand The University of Toledo’s influence on national medical education. Gold has been appointed to the Accreditation Council for Graduate Medical Education Board of Directors, which oversees the accreditation of almost 9,000 residency education programs in the United States. As a board member, Gold will work to ensure that the council uses the most effective methods to evaluate graduate medical education. “I am honored to be selected to serve on the Board of Directors for the Accreditation Council for Graduate Medical Education,” Gold said. 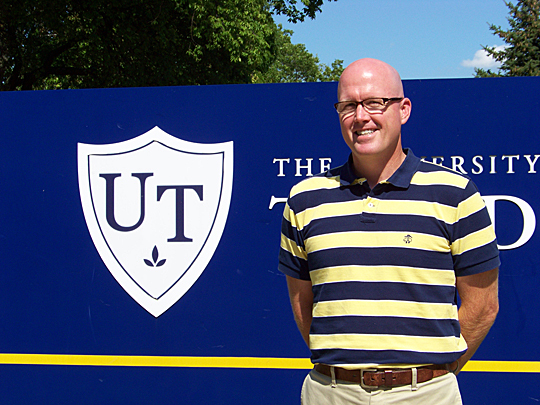 “This is recognition for The University of Toledo Medical Center and an opportunity to impact the future of graduate medical education at institutions across the country. Gold was elected to serve as a board member at the council’s annual meeting in September, beginning his first three-year term. When this term is up in September 2015, he will be eligible for reappointment for a second three-year term. As a board member, Gold will have many responsibilities, including serving on the Committee of Requirements and the Finance Committee. Along with being a member of the council’s board, Gold serves on more than 50 professional committees and more than 100 national organizations, volunteer boards and health councils. He also was recently elected to the American Medical Association’s Council on Medical Education and the Liaison Committee on Medical Education, and has served as president of the Thoracic Surgery Directors Association. So begins With Whom Shall I Talk in the Dead of Night, the recently released book by Dr. S. Amjad Hussain, a chronicle of one man’s struggle with pain and sorrow following the loss of his wife. The book is comprised of a collection of letters that Hussain wrote to his wife, Dottie, after her passing in 2006 as a method of healing and comfort to work through the struggles of losing the most important person in his life. With some of his most intimate thoughts and emotions written out, Hussain had never intended for the collection of letters to be to be published. It wasn’t until he shared the letters with a few of his and his wife’s closest friends that the idea of publication emerged as a possible way to help others experiencing similar hardships. New difficulties and detailed memories associated with daily activities such as watching television, cooking and cleaning are among the many topics addressed in the letters that Hussain wrote. Over the course of the book, he learns to operate individually in a world that was for a long time a great partnership. Readers of the book mustn’t limit themselves to trying to understand his own pain while reading the letters, Hussain said. Instead, he believes that while some might read the book and use it to find comfort and peace in the midst of grieving as he did, others could see it as a memoir of one man and his personal struggles through an extremely difficult situation. His hope is to inspire people to find their own best way to overcome pain in life and encourage to persevere those who are experiencing hard situations. For Hussain, this perseverance came with writing and continual support from many friends and family members, including his three children, Tasha, Qarie and Monie, all of whom are extremely close and have supported each other and their father. 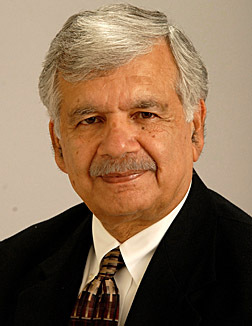 Hussain, who was appointed to the UT Board of Trustees in 2007, is professor emeritus of thoracic cardiovascular surgery at the UT College of Medicine and Life Sciences, where he has been a volunteer faculty member for 33 years. He also is a columnist for Toledo’s daily newspaper The Blade and a number of other publications. A prolific writer, Hussain has addressed many diverse subjects, including religion, culture, history and geopolitical issues in the Middle East and South Asia. This is his 14th book. 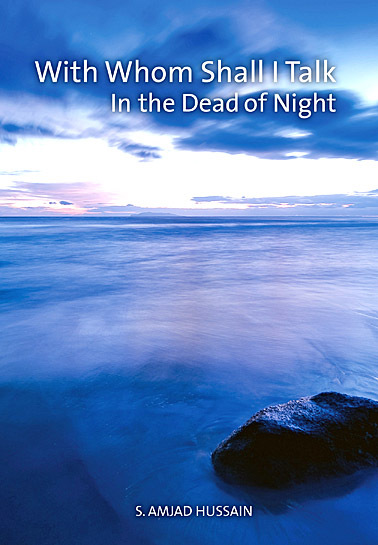 With Whom Shall I Talk in the Dead of Night is published by The University of Toledo Press. For more information or to order a copy, visit utoledopress.com/With_Whom.html.